The income needs of retired Americas seems to have increased over the past ten years or so. This means that the calculations that we have been using to plan for income distribution in retirement need to change. 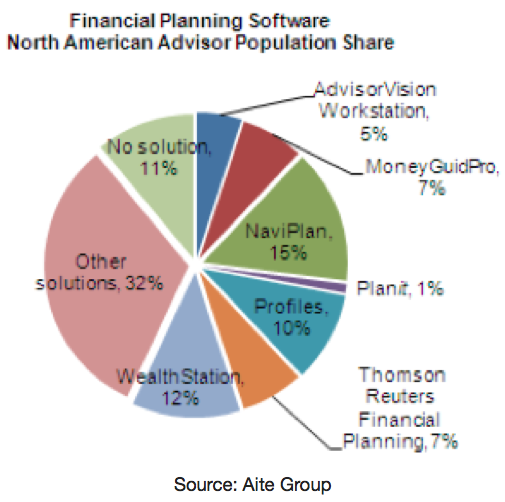 Does your software offer multiple methodologies that advisors can choose from when modeling retirement income needs for clients? Strachan believes that Zywave’s planning products are very strong in this area. They focus on liquidation strategies with smart defaults and can maintain the minimum IRD (Income in Respect of a Decedent) amount, provide tax efficient distribution order that demonstrates which assets are being drawn, could also easily set “all to cash”, can maintain a “cash bucket” of assets, extensive retirement modeling. Social security maximization strategies must be part of the retirement story, she said. inStream has a unique approach to monitoring that includes re-running their Monte Carlo Simulations (MCS) on all clients on a nightly basis. The results of which are fed into their Distribution Management System, which can catch discrepancies in planned versus actual client contributions and distributions, advisor can create triggers that will generate alerts if the results of the nightly MCS fall below certain thresholds, for example, less than 80% profitability. It enables you to manage distribution across your entire client base. How important is ease of use in your software design? All four panelists agreed that financial planning software should be easy to use, without sacrificing functionality or “dumbing down”. They did diverge in their approach and how much training would be required to be able to use their software. 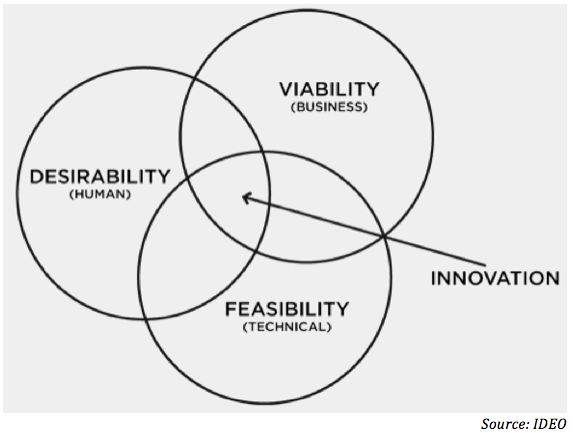 Murguia explained that his firm has adopted a methodology called “Design Thinking” that was created by a firm called IDEO, a global design firm. Design Thinking takes an anthropological view of software development that focuses on designing interfaces based on how people think such that they should be intuitive. “If someone has to read our manual, we made it [the software] too complicated,” he said. Strachan disagreed with Murguia on this point and argued that comprehensive financial planning can be quite complex, especially when including factors such as survivorship rights and estate planning. The average user can’t be expected to understand everything without extensive training and probably reading the manual as well, in order to fully leverage the functionality of the system. Anyone that’s taken the Certified Financial Planning course will understand this, she said. Zywave’s NaviPlan product has had a reputation of having a steep learning curve due to the level of functionality provided. See RIABiz: EISI is producing a simpler NaviPlan in an effort to keep its towering market share. Strachan emphasized that if a firm is going to make an investment in financial planning software, they should be prepared to make a corresponding investment in training to full understand how to use it. The concept of easy has been at the core of MoneyGuidePro since it was released back in September of 2001, Curtis said. Their original tagline was “superior planning made easy”, however, he agreed with Strachan that you can’t eliminate the need for users to have a certain amount of knowledge in order to use their software effectively. MoneyGuidePro allows advisors to start with a simple 4-5 minute plan and then build upon it and add additional layers of complexity until they reach what would be considered to be a comprehensive plan, Curtis explained. He stressed that this could be done entirely within a single system, with just one user interface without having to switch to different modules. This seemed to be a subtle dig at his competitors who use separate modules to handle more complex planning tasks. 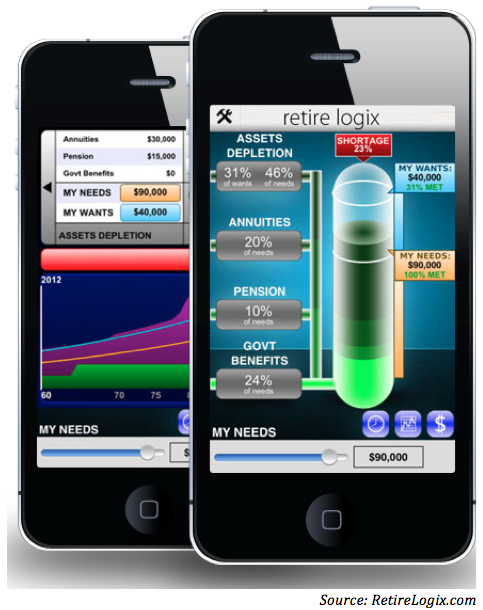 Users of the RetireLogix app can create a basic client assessment in just 60 seconds, Tishkevich claimed. The app, which he reported has been downloaded over 40,000 times, also supports creation of goal-based plans and was included in a list of “100 Best Money Moves” by CNNMoney.com. How does your software handle the uncertainty that is part of every plan? Curtis stated that when making long-term projections, there is going to be an unavoidable amount of uncertainty and the only way to deal with it is to make the best assumptions possible that closely align with the client’s plans for the future. Advisors should go into the process with the understanding that none of those projections are going to be right due to the impact of uncertainty. He pointed out that when they look back at these assumptions twenty or thirty years from now, every one of them will be wrong! However, without these initial assumptions, there is no way for the planning process to function. The software provides a framework to help people make better decisions about how they save and invest, he said. The MoneyGuidePro: G3 version, which was released last summer, includes a new tool called, “What are you Afraid of?”, Curtis reported. The tool enables advisors to create dynamic scenarios that capture a client’s future fears and facilitates analysis of the impact of changes in different assumptions upon the likelihood of the client achieving their desired goals. A financial plan should not set in stone, it should be treated a living document that needs to be continually updated, Murguia said. He believes that a financial plan should be considered to be a GPS as opposed to a roadmap. Strachan agreed with this analogy since planning software is able to recalculate, like a GPS, in case the client makes a wrong turn. Of course, such a tool is only as good as its programming, as users of Apple Maps discovered shortly after it was released! Advisors should use financial planning software as an educational tool, Strachan stressed. She pointed to a recent CFA/CFP Board survey that shows that during the Financial Crisis, clients who had a financial plan felt more confident about their ability to weather the storm. Those who take the time to create a financial plan to manage their income, savings, debt and insurance needs report that they live as comfortably as non-planners who have more money. For example, 48% of people with incomes of $50,000 to $99,000 who have a financial plan described themselves as living comfortably — the same percentage of people with incomes of $100,000 or more who don’t have a financial plan. How does your product handle risks? Curtis explained that MoneyGuidePro handles each type of risk differently, depending on how it will impact the plan. For example, mortality risk should not be built into probability risk since there is already a 100% probability that everyone will die at some point! Long-Term Care (LTC) also shouldn’t be built into a probability, instead every plan should be tested and be able to survive an LTC-type event, he warned. What is one way that your product can help make advisors more efficient? inStream helps advisors to contextualize the investment experience for clients, Murguia said. FinanceLogix allows clients to educate themselves, since their results screens have slider controls for many plan input assumptions and can instantly show the impact on the plan results, Tishkevich commented. Strahan mentioned that the ability to revisit a plan and update the results is a time saver for advisors, especially when compared to performing the same work using Microsoft Excel. Good planning software should automate the repetitive work and free up the advisors to focus on high-value activities, Curties proposed. 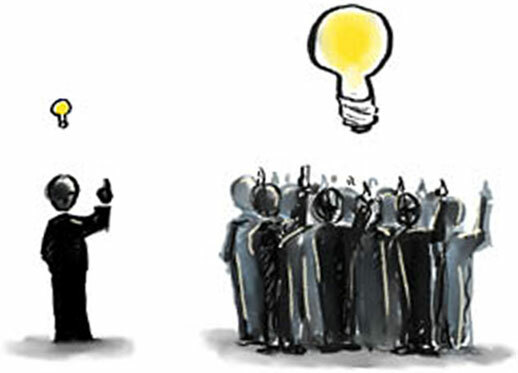 Does your product support crowd-sourcing of data across many advisors? inStream released a new version of their system yesterday that added a crowd-sourced knowledge base and analysis tool, Murguia reported. It can look across all clients and all advisors in a firm in order to leverage the aggregated information into a set of best practices and create a common fabric for advice. It’s sort of an iRebal-style solution for financial planning, he said. inStream was awarded Morningstar’s “Innovation of the Year & Best in Tech Advisors in 2012″ in part due to this crowd-sourcing functionality. Since this panel went so well, I thought I would reach out to some other vendors to see if they would be interested in participating offline by answering the same questions posed here. The first vendor to do so was Fiserv, makers of AdvisorVision, and you can read their response here. Nice Article. I am a MGP user but I lodged a complaint with them this morning. In regard to tax assumptions. 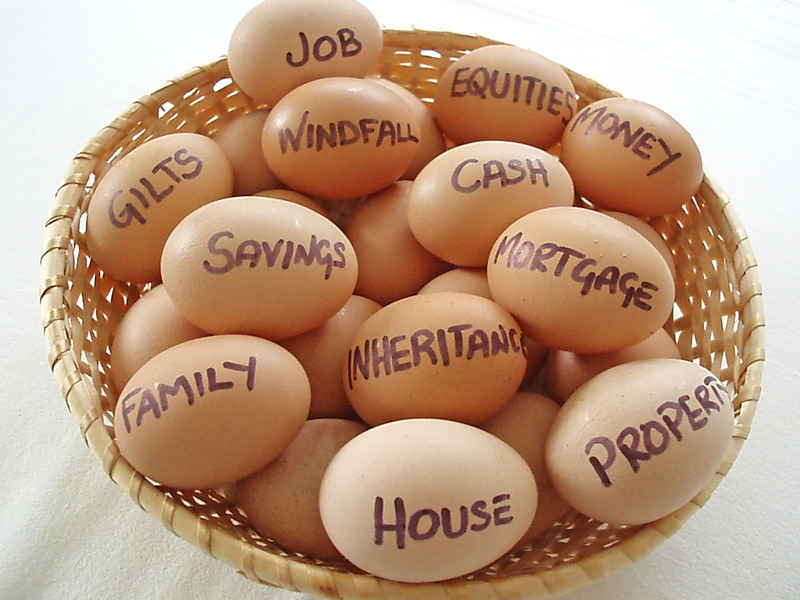 For example I encourage clients to spend down financial assets and wait on taking Social security if possible. I am working on a few plans right now where the first 4-6 years the client will rely primarily on IRA distributions then when social security kicks in IRA distributions will be cut back or eliminated all together. This drastically changes the tax implications. Take a married couple making 52k/ year from IRA/Pension; their effective rate is approx 10 fed & 5 state. When social security kicks in at 36k year + 16k pension their tax liability is 0. The difference for this client is approx 6k per year for 10,15,20 years, talk about being way off with those kinds of numbers. The software just looks at their income and ignores the benefits of ss taxation. I can manually enter an effective tax rate but that does not account for the favorable tax change. Is there any software out there that does a better job at this?